Beer-loving brides and grooms will love The Wedding Beer Company; a brand new Walthamstow-based business that creates bespoke brews for your big day. Using a patented test to expertly match flavour to personality, the company then produces a specially brewed beer in collaboration with selected master-brewers from all over the UK. It also designs a name, logo and personal brand allowing each beer to tell the story of the couple’s romance. 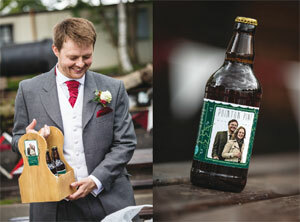 The Wedding Beer Company has three packages to choose from with prices starting at £995. Feel on top of the world on your big day with a wedding at Kensington’s spectacular Roof Gardens. Designed as an escape from the busy streets below, the venue is located 100-feet above Kensington High Street and comprises three themed gardens spanning 1.5 acres. Boasting oak and fruit trees, a fl owing fish-stocked stream and resident flamingos, it’s safe to say The Roof Gardens is a world apart from any other venue in London. On the sixth floor you’ll find The Clubhouse, which is licensed for ceremonies with up to 150 guests. Post-vows enjoy your reception in any of the three gardens: Spanish, Tudor or English Woodland. 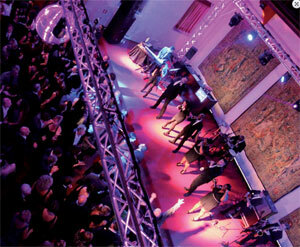 There’s ample space for up to 200 seated diners and 500 standing guests to party the night away under the stars. While we know it will all be worth it, there's an array of enticing features for you this issue to keep your stress levels low and happiness factor high. If you're yearning for some cake-fuelled inspiration, turn to page 33 where London's best bakers reveal the hottest wedding cake trends around. Are you still on the hunt for your bridesmaids' outfits? Stop the search as we've got a feature dedicated to styling your best girls starting on page 83. 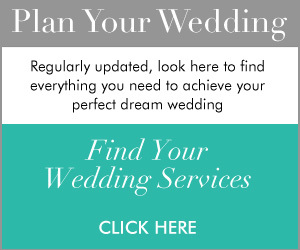 Last but not least, don't forget to check out our brand new Pinterest page at www.pinterest.com/countyweddings for inspiration aplenty! Make your way to leafy Oxfordshire and you're in for a delicious surprise. Preceded by pathways lined with fragrant lavender, stands the 32-bedroomed Belmond Le Manoir aux Quat'Saisons. The epitome of English country elegance, it's also home to one of Britain's best culinary experiences. Opened by French super chef Raymond Blanc OBE in 1984, the hotel became a two Michelin-starred haunt – and still retains its stars today. Indeed, a stay here will send food-loving couples into seventh heaven: the luxurious hotel not only sports flora-filled grounds, a croquet lawn and romantic water gardens, but fruit-laden orchards, a mushroom valley and a two-acre kitchen garden of vegetables and herbs. If food really is the route to your hearts, the on-site Raymond Blanc Cookery School is the place to put you through your paces. And as if all of that wasn't enough to inspire and delight your senses, there's the option of in-room spa treatments, before readying yourselves for an evening meal of Michelin proportions. Bon appétit! Belmond Le Manoir aux Quat’Saisons is offering a mid-week overnight stay for two in a Deluxe Room, including a five-course dinner at its world-class restaurant, with accompanying wine to the value of £50, plus breakfast the following morning. Sophia knew Oskar was the one after their first date at the OXO Tower restaurant on the South Bank back in 2011. “The evening went so well, and I was very happy to find a man who was taller than me, even when I was wearing heels!” she recalls. Fast-forward a couple of years and the pair were holidaying at Oskar’s mother’s house in Spain when he popped the question. Sophia, of course, said ‘yes’ and they set about planning their dream day in their local area of Dulwich. What kind of music should play on your day? Take our quiz on page 59 of the current issue to find out! Q Our wedding day is going to be a riot of pink, from the stationery and flowers to the chair sashes and centrepieces. Though I’m wearing a white dress, I want pink to feature in my jewellery – what would you suggest? A Jeweller Sophie Harley says:Use beautiful stones such as pink sapphire, pink tourmaline and pale pink quartz as the focal point, and then mix it with pearls to soften the look and bring out the vibrant colour of the stones. It will contrast really well with white, cream and even grey freshwater pearls, all encased in rose gold or 18-carat yellow gold. If your preferred metal is silver, I’d suggest an oxidised finish, which will take a little of the shine out of the metal and enhance the stone’s colour as the main feature of the piece. The style of your gown will also determine the sort of jewellery you’ll want to wear. A high choker with lots of multi-chain drops featuring pink stones and pearls would look stunning with a classy strapless number. For a dress with straps or sleeves, go for an elegant yet simple pendant or perhaps small hoop earrings with gemstone drops to produce the desired effect. To view more events, please visit the events page on our website. 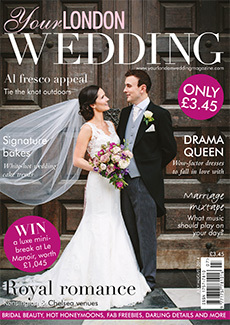 A subscription for 6 issues will cost even less at just £17.60!